Continue weaving the warp rows until you reach the opposite side rail and the back seat rail is entirely wrapped in tape. Then temporarily tack the loose length of tape to the side rail (below) and cut off the loose end. 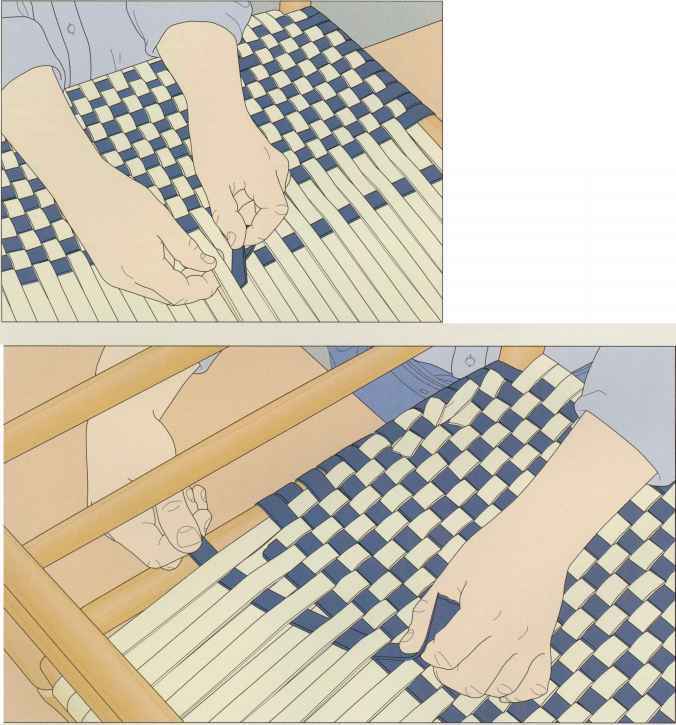 Weave about three rows of weft, then begin filling in the triangular gaps left along the side rails where you installed the warp. 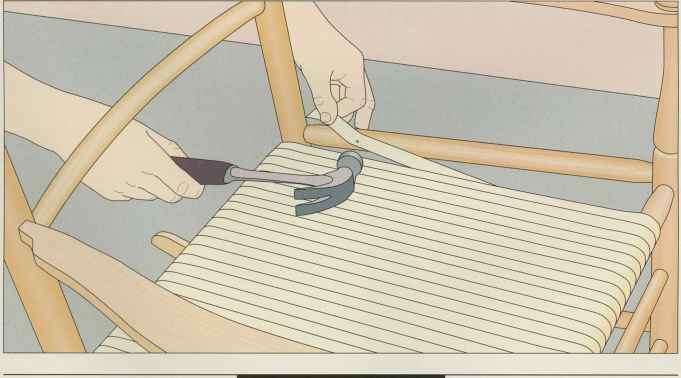 Cut a length of warp tape long enough to weave two rows of seating, plus about 5 inches, and slip the tape under the last strand of weft beneath the seat and around the front seat rail, butting it against the last row of warp you wove in step 3. Then return to the back rail, passing the tape under the last weft row and over the second one (right). Weave another warp row adjacent to the last one the same way. Leave the excess hanging for now; you will be able to weave it into the subsequent weft rows. Weave three more weft rows and repeat the gap-filling process. 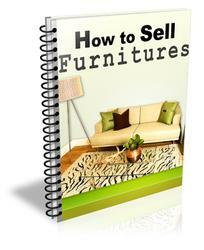 Set the chair upside down on a work surface that will enable you to work comfortably. Starting along the back seat rail opposite the place where you began the warp, slip the end of the weft tape under the first strand of the warp, over the next, and continue with this under-and-over weave until you reach the last warp strand, Pull the excess tape through, leaving 5 inches or so at the starting point. Weave this part back on itself to anchor the tape in place (left). Flip the chair upright and continue weaving on the top side of the seat. Continue weaving the weft, wrapping each row around the side rails and weaving over and under the warp rows (left). Avoid twisting the material. 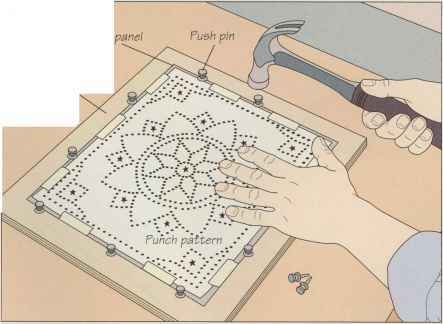 As you finish each row, pull it tight against the previous one with your fingers. As you work your way toward the side rail, the warp will become increasingly tight. 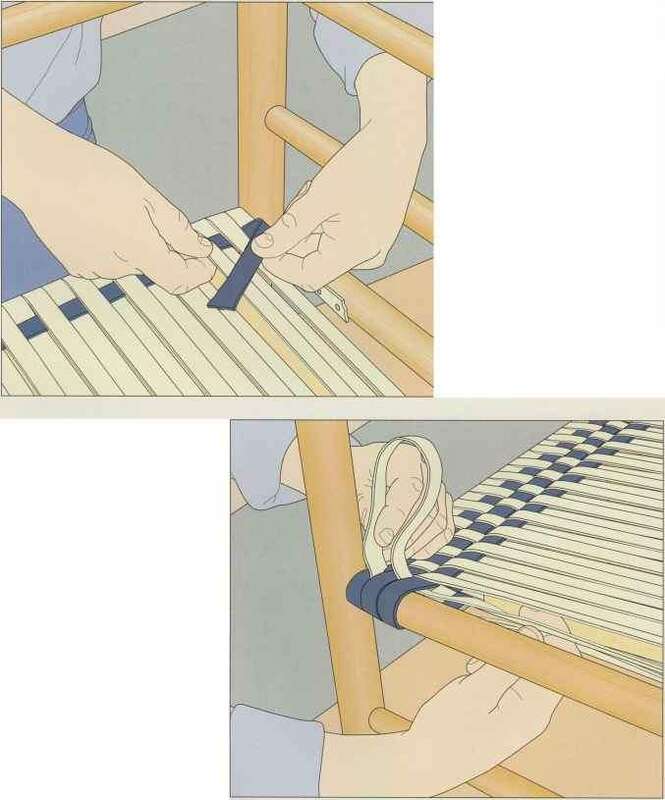 To make space for the weft, slide a blunt knife between the warp rows as necessary. When you have laid down the final weft row, weave it back on itself to hold it in place. Also weave in any loose ends of tape on the underside of the seat.